Mix custard powder in 1/4 cup of milk. 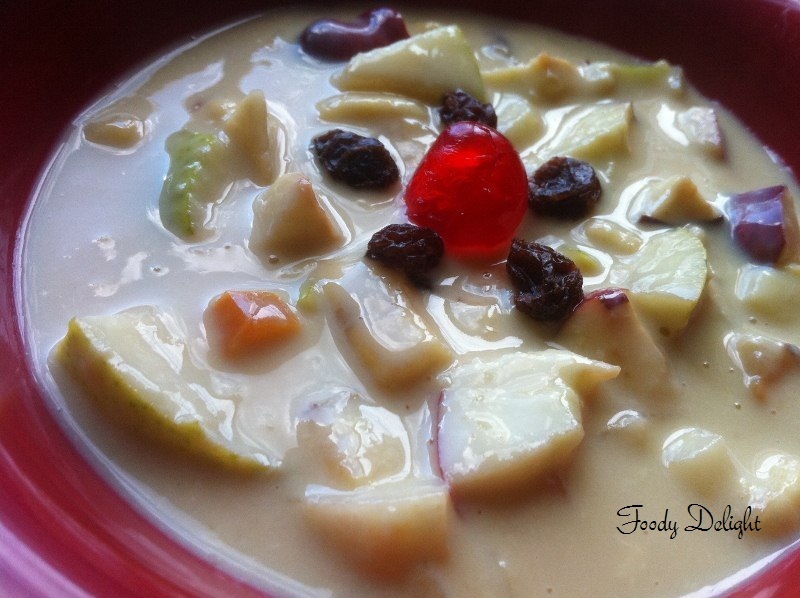 stir well till custard powder completely dissolves in milk. Pour the remaining 2 cups of milk in deep bottom pan and bring it to boil. When done.Turn off the flame. Cool down th custard mixture. When fully cooled refrigerate it for atleast an hour. Chop all the fruits and dry fruits into small pieces. If you find custard mixture is too thick, you can add cool milk into it. 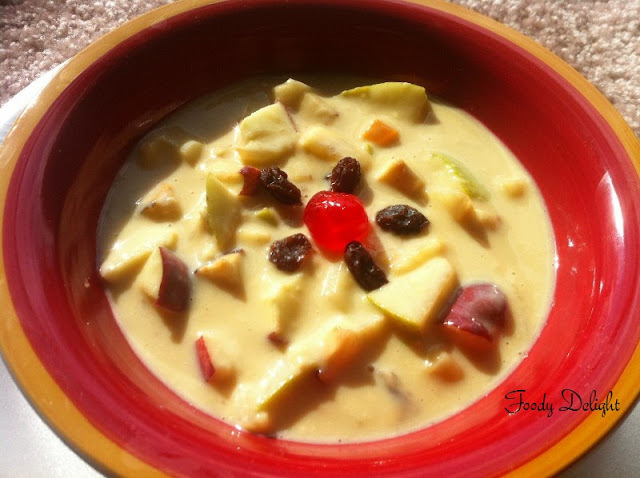 When at the time of serving add chopped fruits and dry fruits to the custard mixture. Garnish with red cherry and serve chill.